For most students, exam days are one of the most stressful experiences of their educational careers. Exams are a semi-public declaration of your ability to learn, absorb, and regurgitate the curriculum, and while the rewards for passing are rather mundane, the ramifications of failure are tremendous. My educational experience indicates exam success is primarily due to preparation, with a fair bit of luck. If you were like me in school, exam preparation consisted mostly of cramming, with a heavy reliance on hope the hours spent jamming material into my brain would cover at least 70 percent of the exam contents. After I left my education career behind me and started down a path in business technology, I was rather dismayed to find the anxiety of testing and exams continued, but in the form of IT audits. Oddly enough, the recipe for audit success was remarkably similar: A heavy dose of preparation combined with luck. It seems many businesses adhere to my cram-for-the-exam IT audit approach. 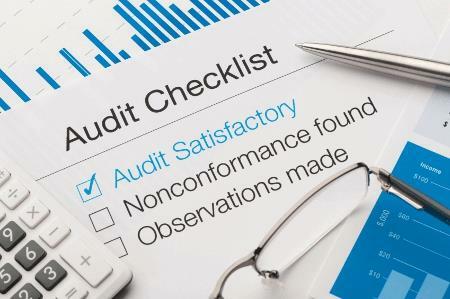 Despite full knowledge and disclosure of the due dates and subject material, IT audit preparation in most companies I’ve encountered largely consists of ignoring it until the last minute, followed by a flurry of activity, stress, anxiety and panic. The first step is to clearly define what we are trying to achieve. Start big-picture and then drill down into something much smaller and achievable. This will accomplish two things: 1) build some confidence that we can do this, and 2) using what we will do here, we can “drill up” and tackle a similar problem using the same pattern. Here is a basic example of starting big-picture and drilling down to an achievable goal: we need to monitor all logs in our organization (too large); we need to monitor authentication logs in our organization (still too large); we need to monitor network user authentication logs in our organization (getting closer); we need to monitor failed network user authentication logs in our organization (bingo!). Now that we are meeting the notification and remediation requirements in a repeatable and automated fashion, we need to analyze and report on the effectiveness of our remedy and, based on the analysis, make necessary improvements to the process. The iteration (repetitive process) is simple. The scope and execution of the iteration is where things tend to break down. The key to successful iterations starts with defining and setting realistic goals. When in doubt, keep the goals small. The idea here is being able to achieve the goal repeatedly and quickly, with the ability to refine the process to improve the results. No more cramming for this particular compliance requirement, we are now handling it continuously.